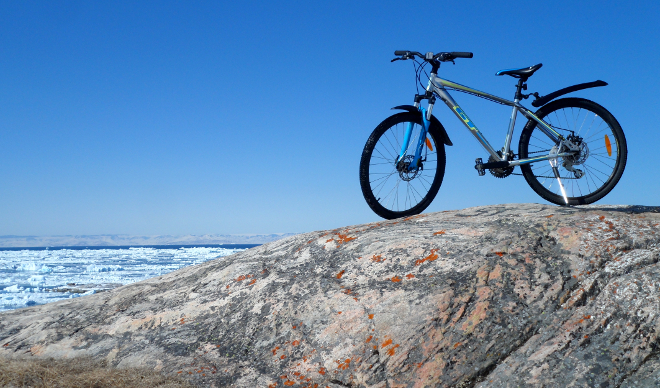 Need to get around easily in Ilulissat and surroundings? – Rent a mountain bike at our office and drive easily and conveniently through the city and surrounding areas. We have more than 10 GT mountain bikes for rent.